Our London youth mentoring service, Friendship Works gears up to celebrate International Friendship Day and looks at the importance of stable, reliable role models in the lives of young people and why friendships are needed. Friendship Works – it’s in the name. Our model of mentoring is all about providing friendship to children and young people. But why? How do we know that it is a positive friendship with an adult that is needed? Having friends is vital to all of us and particularly to children. It is through friendships that children develop their self-confidence and all the social skills they will need as an adult. Overall research shows that having friends increases our chances of being happy. However, many of the children and young people Friendship Works support have had difficult and traumatic experiences in their early childhoods and these experiences often have a profound impact on their self-esteem, confidence and ability to learn social skills. 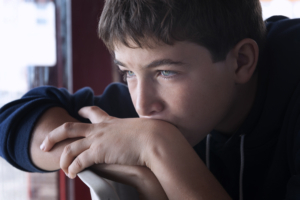 A child who has experienced trauma is more likely to find it difficult to understand social cues and every day social communication; or to be able to understand and regulate their own emotions or develop empathy for others. All of which are integral components for friendship and are why many of the children we support struggle with making and keeping friends, often feeling very isolated. Our volunteer mentors are friendship mentors. They are there as friendship role models and to help children learn those vital social skills. But more than that, because our mentors are not brought into a child’s life to address some kind of deficiency in them, or change their behaviour in some way, they are able to provide acceptance. The relationship itself is based on accepting the child for who they are and where they are. It is this acceptance that helps the traumatised child develop confidence and self-esteem, to accept that they are worth caring about and so be in a position to grow confidently within that secure and consistent friendship. Our mentors provide them with the opportunity to experience the ups and downs, the communication breakthroughs, the problem solving and the security that make a friendship. It is in this friendship that many children learn to recognise and control the expression of their emotions. This experience helps them know what they are looking for and trying to achieve in their relationships with their peers. So that is the task of a Friendship Works mentor – to be a friend. How would you define a friend? Someone you spend time with, who is not your family but who you are fond of and care about? Someone who is on your side? Someone you can trust and rely on? Our mentors are all these things to the children they mentor. They listen to and validate children’s opinions and views; they are role models for understanding and expressing feelings; they praise and encourage, provide opportunities for children to try and succeed at new things and overall they create a safe and secure space for children and young people to experience friendship. 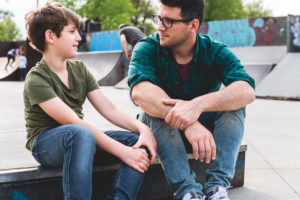 It is the support provided through this approach to mentoring that children build on, to grow their positive sense of self, their skills and their abilities. It is these elements that we all need to be resilient adults, coping with all that life throws at us. It is something almost everyone knows inherently – being a friend and having a friend changes who we are. Friendship changes lives. If you are interested in volunteering with Friendship Works click below to find out more about becoming a mentor.